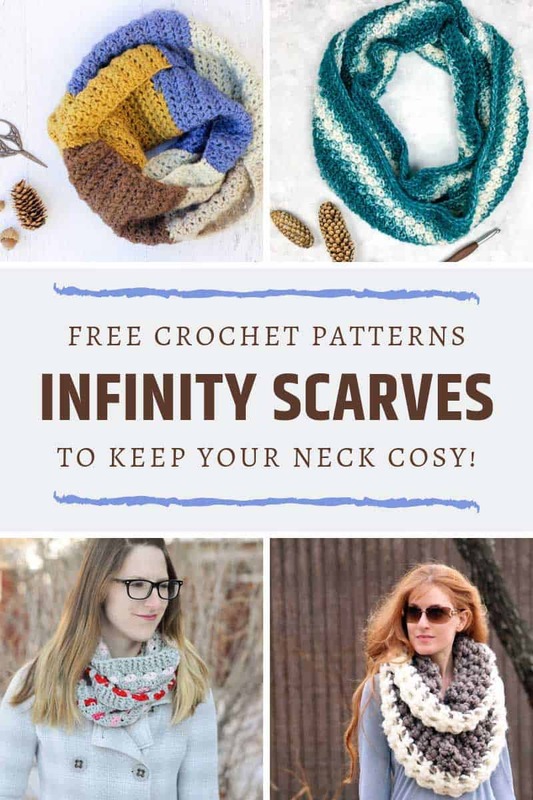 It’s that time of year for crafting winter projects, and since our collection of slouchy hat patterns went down a storm I thought today I’d bring you some infinity scarf free crochet patterns to keep your neck as snug as your head! 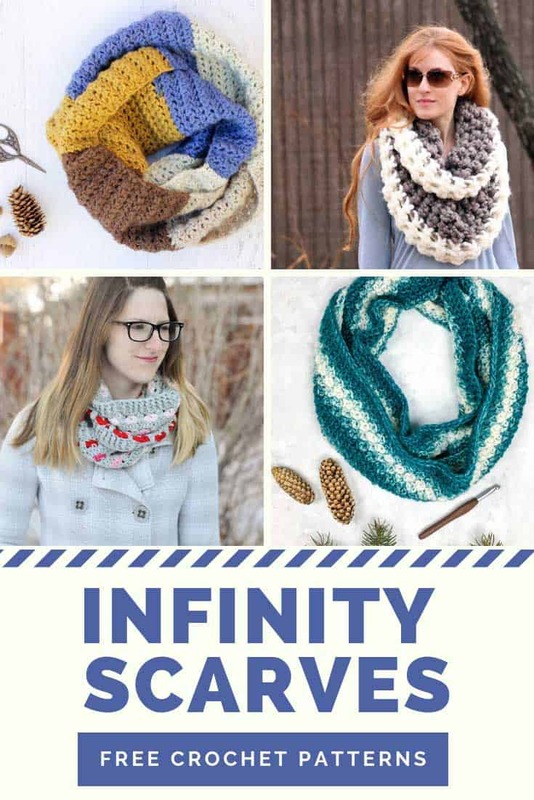 The great thing about infinity scarves (or cowls if that’s what you call them) is that they look fabulous but they’re SUPER EASY to make. Seriously, even if you’re a flat out beginner! There’s still time to whip some up as homemade Christmas gifts! 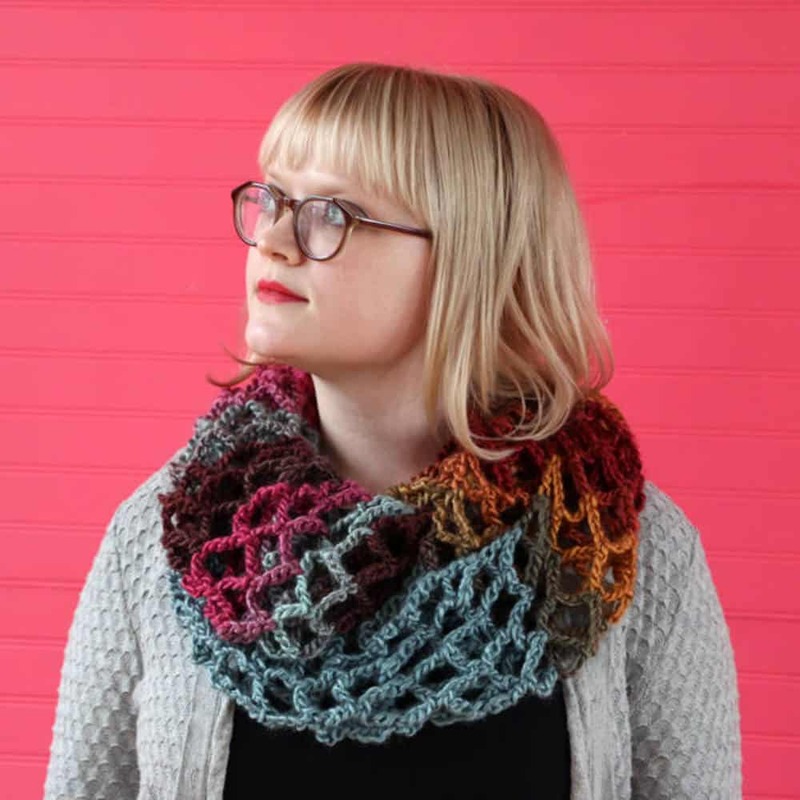 If you LOVE Caron Cakes this is the cowl pattern for you! 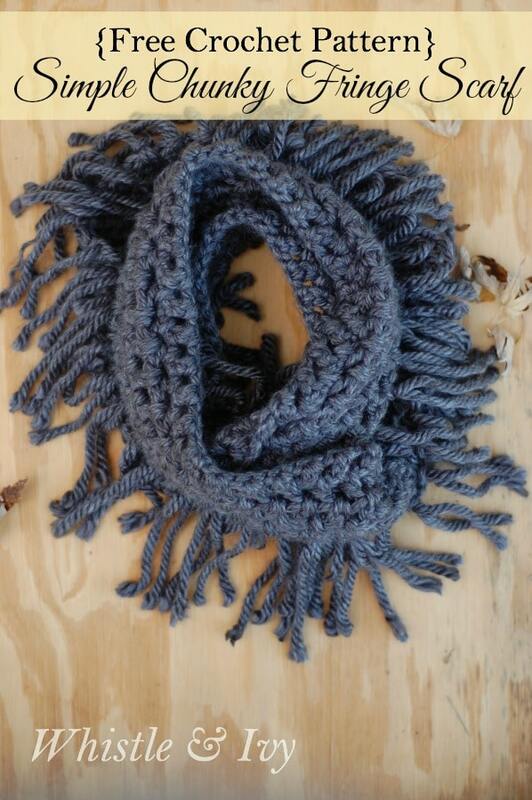 I love how you can combine a really simple pattern with a ball of yarn that self stripes and end up with a fabulous looking scarf even if you’re an absolute beginner! The Caron Cakes used in the project is Royal Icing, and I love the combination of colors that are just perfect for Fall and Winter! 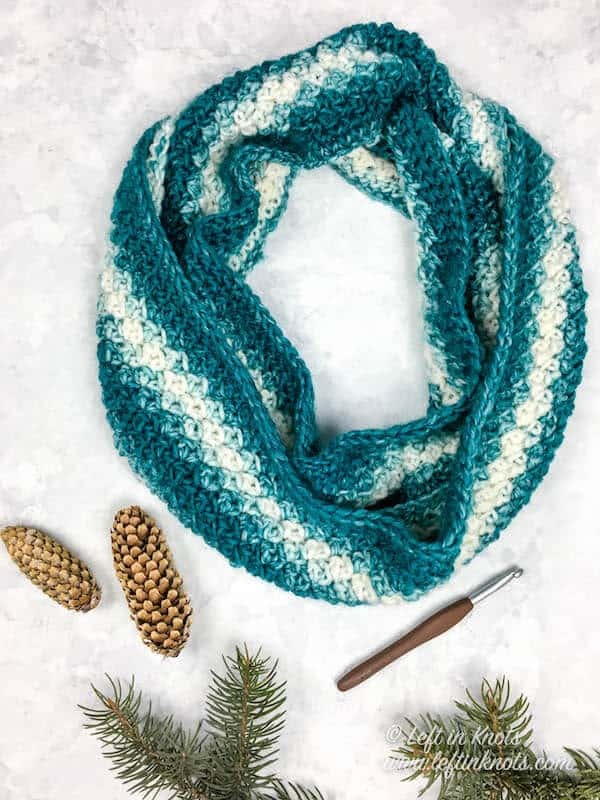 If you love the idea of “self-striping” scarves then check out this next pattern which uses just one skein of Lion Brand Scarfie (in cream/teal) to make this fabulous cowl. Megan even has free crochet patterns for a matching hat and pair of mittens! 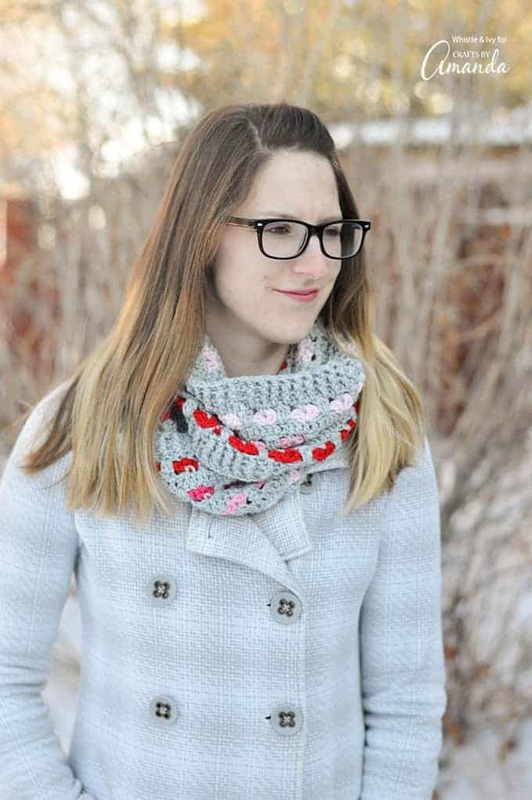 How pretty is this heart motif infinity scarf? If Christmas has been and gone by the time you read this it would make a fabulous Valentine’s gift for a friend don’t you think? 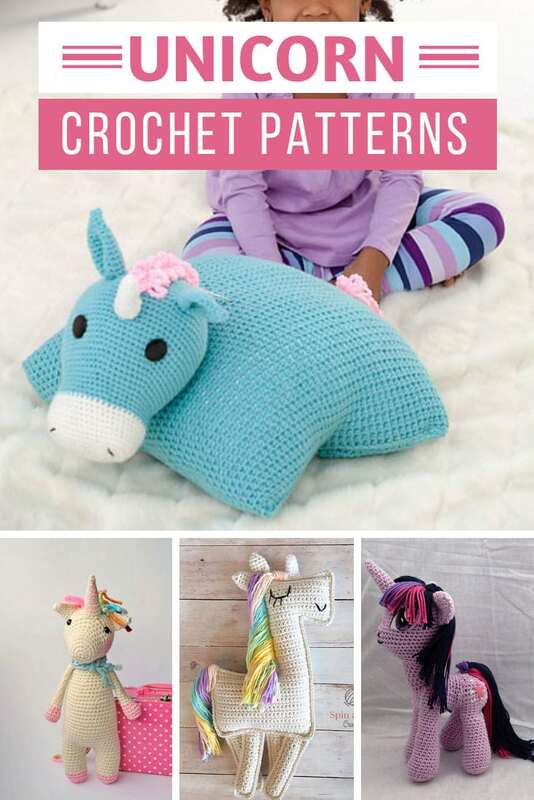 If the thought of crocheting those little hearts makes you nervous don’t worry because there’s a video tutorial to show you just how simple they are to make. 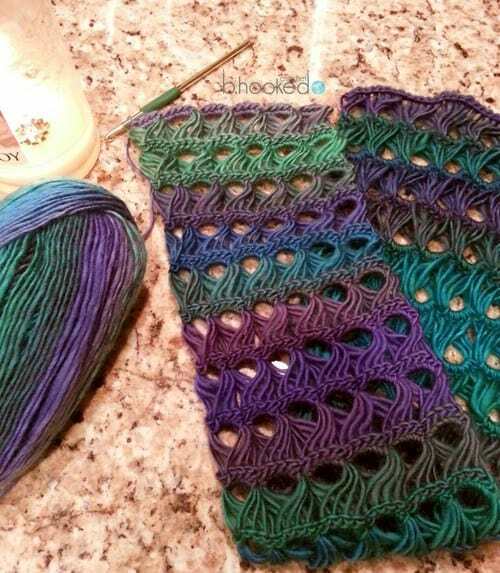 If you’ve got a 25mm crochet hook that you’ve been itching to use this is the scarf for you. And boy the pattern is simple. So simple in fact that I nearly didn’t share this because I scrolled right past the sentence that is the pattern. 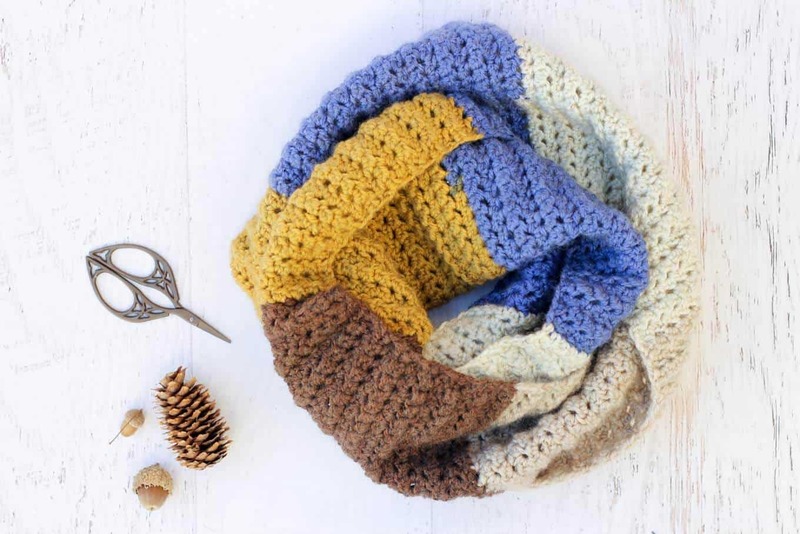 This pattern is so simple you could probably make this scarf even if you’ve never picked up a crochet hook before in your life! And it looks soooo cosy I think I might give it a try this weekend! If you fancy a bit of a fringed look to your scarf have a look at this free pattern that combines chunky with a fringe. 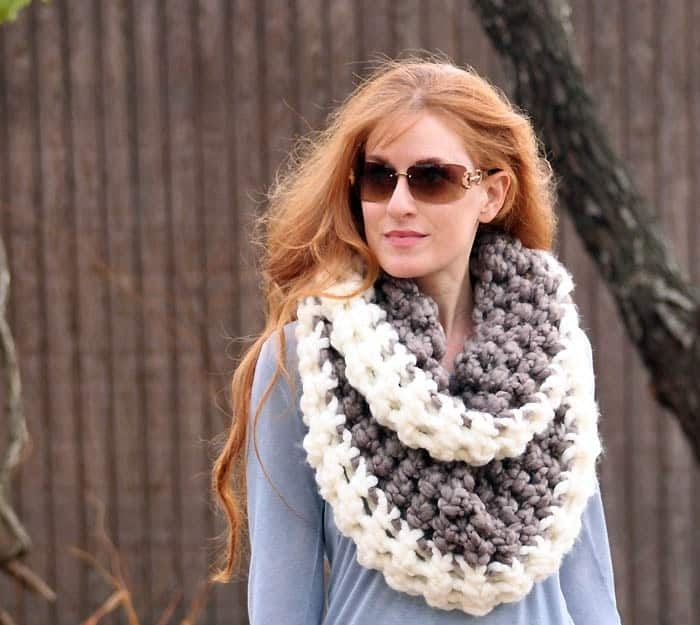 This is the perfect weekend project because you can whip up a scarf in about an hour. 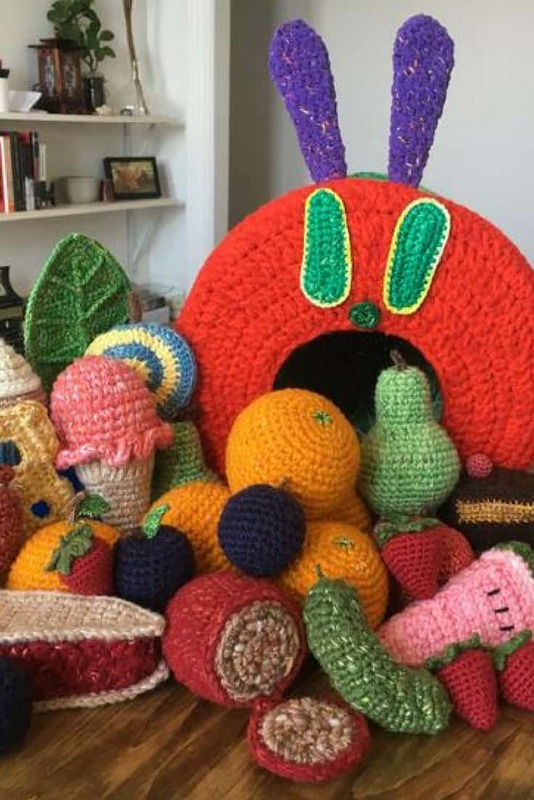 You might want to pick up more yarn than you need so you can make them in different colors, for yourself or a friend! 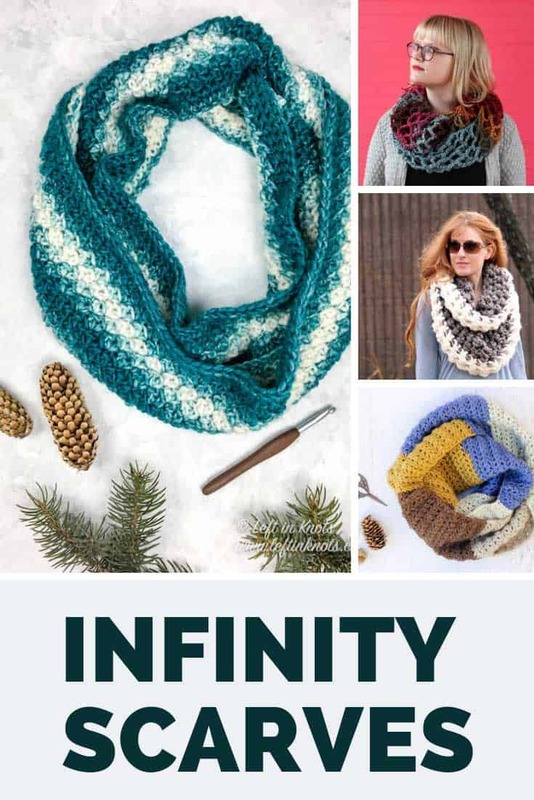 Of course infinity scarves aren’t just for the winter months, because it can still be a bit chilly in early Spring right? And after wearing a scarf all winter your neck feels all kind of naked! 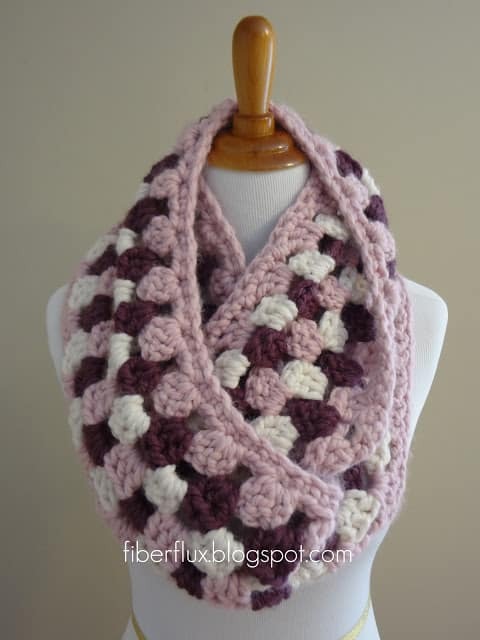 So how about following this free pattern to make a fabulous scarf that’s an ode to the cherry tree! 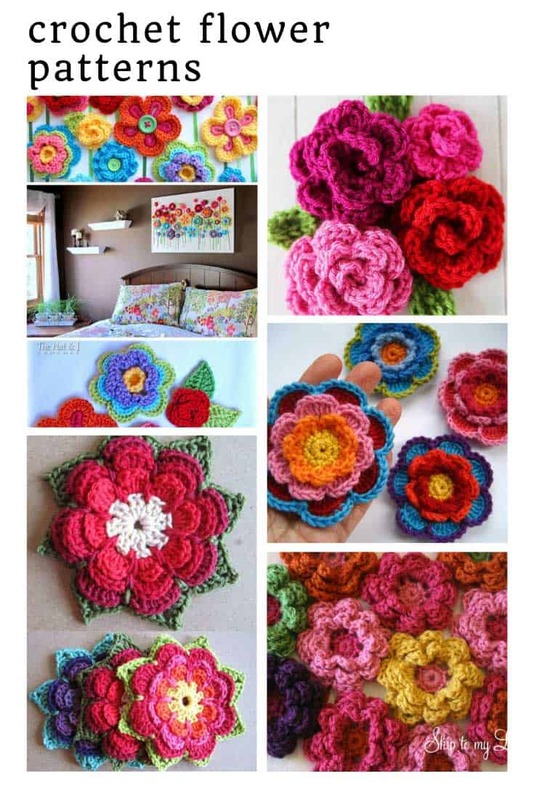 It’s crocheted length ways in wonderfully chunky granny squares which means you can make it wider by just working more rows. Here’s another Spring option, this time in a mesh style using a silk-inspired yarn that’s so luxurious! 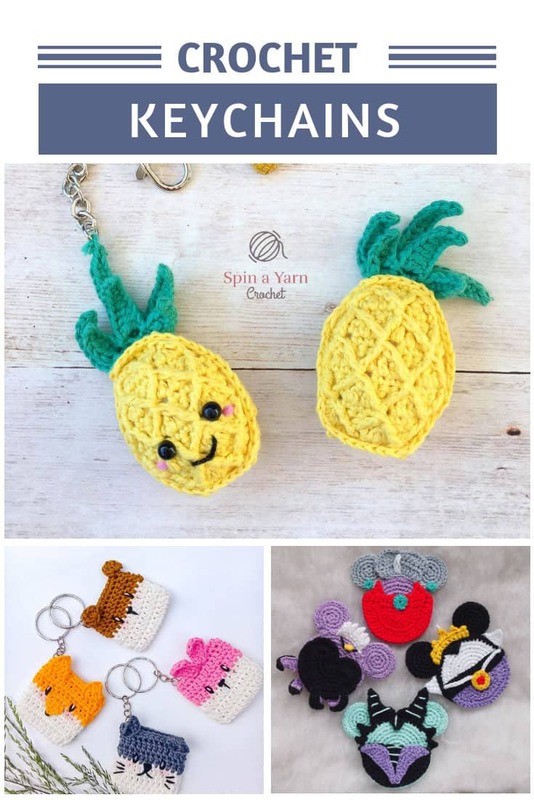 If you’ve never crocheted mesh before you don’t need to worry because there is a video tutorial right there in the post! And wouldn’t this broomstick lace version be perfect for the end of Spring or the start of Fall where it’s not really cold enough for a scarf but you still want to wear one? 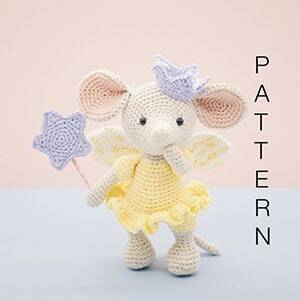 Oh and if you’re left handed you’ll be pleased to know there is a left handed version of this tutorial! Once you’ve worked up your infinity scarf check out this video to see 10 different ways you can wear it. Seriously who knew one crochet project could give you 10 different ways to style your outfits this winter!